We are the leading Manufacturer, Wholesaler, and Trader of Electromedical Equipment. Our offered product range comprises of Surgical Diathermy Machine, Vessel Sealer Machine and much more.Certified by ISO 9001:2008. 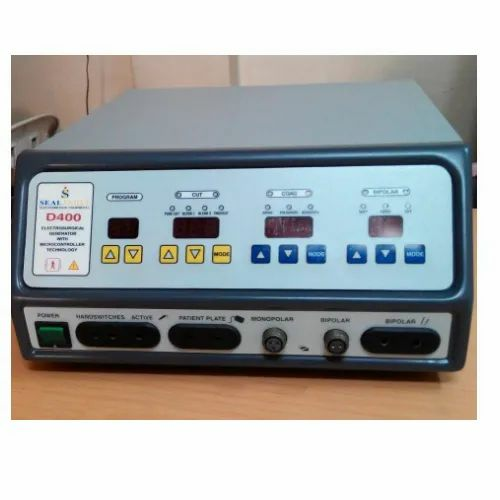 We are the leading manufacturer and wholesaler of Electromedical Equipment. Our offered product range comprises of Surgical Diathermy Machine, Vessel Sealer Machine and Bipolar Saline Plasma Machine.